In this article, guest contributor, Ruth Awad explores the consequences of social media and blogging gone wrong! 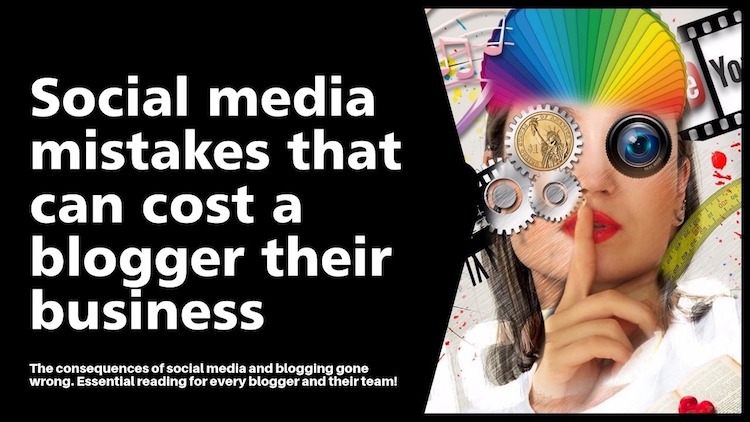 Essential reading for every blogger and their team! Social Media Mistakes are not exclusive to what you may say on Facebook or Twitter – they impact everything you say in your blog, email, and all forms of digital content. Most entrepreneurs and bloggers know their industry inside and out. But when it comes to how the law applies to their online marketing? Not so much. The good news: you don’t have to be a legal whiz to know what online marketing mistakes can land your business in trouble. Playing it safe with your social media marketing. One misconception is that small businesses or solopreneurs don’t get sued, but the data says otherwise. 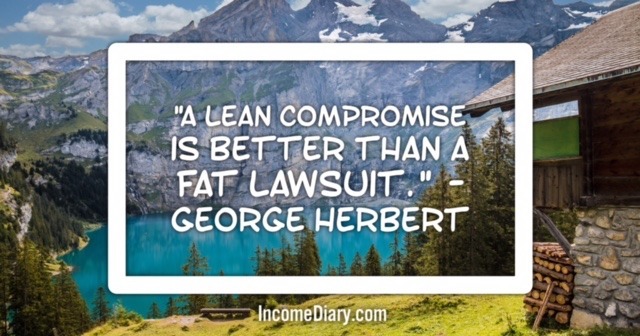 According to the US Chamber Institute for Legal Reform, small businesses bore 81 percent of all business lawsuit costs in 2008, plus a Harris poll found that more than a third of small businesses surveyed had been sued before. Worth noting: a lawsuit is more than just a tangle of legal bills and time spent in and out of the courtroom. Being sued is never a good look for anyone and it can hurt your brand’s reputation. 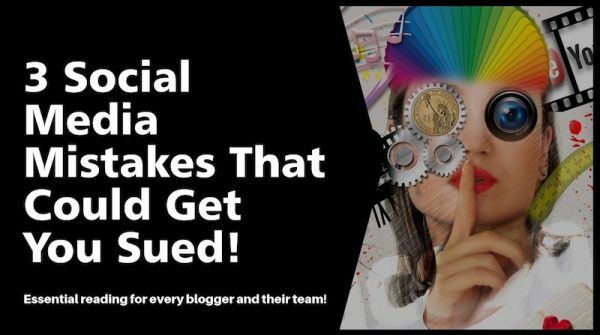 With that in mind, let’s look at some common social media marketing mistakes that can lead to legal headaches and discover ways you can avoid them. Falsely stated as fact. In most places, a truthful statement can’t be defamatory. The same typically goes for opinions. Harmful to the subject’s reputation. Hurt feelings usually aren’t enough. Damages need to be more tangible, like getting fired, losing a promotion, or receiving hate mail. Communicated to a third party. Comments written in a private diary usually don’t rise to the level of defamation. Libel and slander are two types of defamation. If you write a harmful and untrue statement about someone, you’ve committed libel. Speak those words out loud, and it’s slander. Sadly, the Internet makes both of these very easy to commit, especially after a perceived slight. Take, for example, this report from The Telegraph in the UK, about a freelance typist’s Twitter rant. She complained because a company was allegedly late to pay her. The company sued her for defamation, and battling that kind of lawsuit isn’t cheap. The report notes she could end up spending £100,000 to defend herself. And just because social media seems to be dominated by the written word doesn’t mean you can’t accidentally slander someone, too. Live-streaming, podcasts, and even Snapchat can capture you at your mudslinging worst and broadcast it for the world to see. Never post in anger. Count to 10. Go for a walk. Take a deep breath. Just make sure the anger passes before you publish a word. Check your facts. If you want to publicly claim something is true, make sure it is before you post. Make your context clear. What you see as an obvious exaggeration may be insulting to someone else. Be careful with hashtags. Adding “#crook” may strike you as funny, but you can’t be sure everyone will take it as a joke. Avoid modifying photos and videos. Images can be defamatory, too, so don’t alter them to make someone look bad. No matter the facts and your understanding of them, it is wise to take a deep breath and think twice before responding. When it comes to litigation, ignorance is no defense… one throwaway comment could quite literally cost you your business. Most importantly, be doubly careful when you’re referring to private citizens. While anyone can be defamed, laws are usually more protective of regular Joes and Janes. Copyright infringement is the use of someone’s copyrighted work without their permission. That seems simple enough, but how do you figure out what’s copyrighted? An idea can’t be copyrighted, but if someone puts that idea into a tangible medium, such as writing, music, film, photography, or art, the resulting material is automatically copyright protected. The creator doesn’t have to do anything other than create a work to get that sweet copyright protection. They don’t have to register it (although they can), publish it, or put a © on it. They don’t even have to put much effort into defending it. So if you grab an online image for your latest tweet or use your favorite song to score your YouTube tutorial, you might have to pay up. According to a report from the Australian Broadcasting Corporation, the owner of an online travel agency was recently ordered to pay $24,000 to a Hawaiian landscape photographer. Her mistake? Using the photographer’s work on her website without permission. In 2014, The Verge reported that YouTube star Michelle Phan faced a lawsuit for improperly using music owned by Ultra Records. The company sought the maximum damages: $150,000. Some entrepreneurs think they can avoid copyright infringement by making changes to the original material, sort of like what artists are accusing Snapchat of doing, according to The Ringer. Modify the work into something new. Reproduce the work in its original form. Display the work to the public. Perform the work for the public. Do any of these things without permission, and you risk being accused of copyright infringement. Use work that you have permission to share or work that belongs to the public domain (see: Shakespeare). Get familiar with your country’s fair use / fair dealing laws. These make certain exceptions to copyright infringement. For example, US fair use laws may allow you to use copyrighted material without permission for criticism, commentary, parody, education, news reports, and research. Look into the copyright of any material you want to share online. Obtain permission from the copyright holder before you publish it to your social media accounts or website. Be honest about how you intend to use the material. Make sure the license allows you to use the material for your business. Finally, when in doubt, you may want to link to the original source rather than publishing the work directly. It demonstrates a good-faith effort to credit the creator. False-light publicity. Privacy laws make it illegal to spread misleading information about someone, especially if it’s highly offensive or embarrassing. Say, for example, you sell diet supplements online. Posting photos of unsuspecting people with the caption, “Another future client,” could land you in court. Misappropriation. People also have a right to control their image and name. Using either to promote your business without their permission is called misappropriation. You’ve probably heard about celebrities suing companies for using their image, such as retired NBA star Tim Duncan suing a San Antonio real estate agent, but private citizens sue over misappropriation, too. According to the Courthouse News Service, five women sued their cosmetic surgeon after she posted their before and after pictures to promote her business. Public disclosure of private facts. Clearly, there’s some information people want to keep private. And if you communicate these facts to a wide audience, like ESPN reporter Adam Schefter did when he tweeted New York Giants Jason Pierre-Paul’s medical records, you risk getting sued for invasion of privacy. So how could these situations apply to you? Let’s say you want to give a public shout-out to your favorite customer. If you didn’t get permission to use your customer’s name and image in the post, they could sue you for invading their privacy. So don’t to that to other folks! Next, be sure to get permission before you share any information about another person on social media. 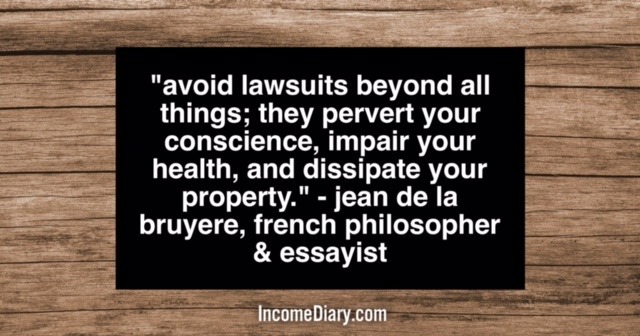 That is perhaps your best defense against a public disclosure or misappropriation claim. The United States Copyright Office. In particular, you may want to visit its search tool to find out if the material you’re using is copyrighted. NOLO.com on Defamation Law. This is a great resource on defamation law. The articles are free of legalese and cover just about every aspect of libel and slander cases. The Social Media Law Bulletin. Produced by Norton Rose Fulbright, this site aims to keep businesses informed about social media issues. Wikimedia Commons. Go here for free images, sounds, and other multimedia files you can use on your social media accounts (but always read the fine print first). These tools and the tips outlined above make it less likely to make a mistake, but your second line of defense is insurance. Consider having General Liability Insurance that can cover your legal expenses when your business accused defamation, copyright infringement, and invasion of privacy – just in case. About the Author: Ruth Awad is a content strategist and editor at Insureon, an online small business insurance agency.